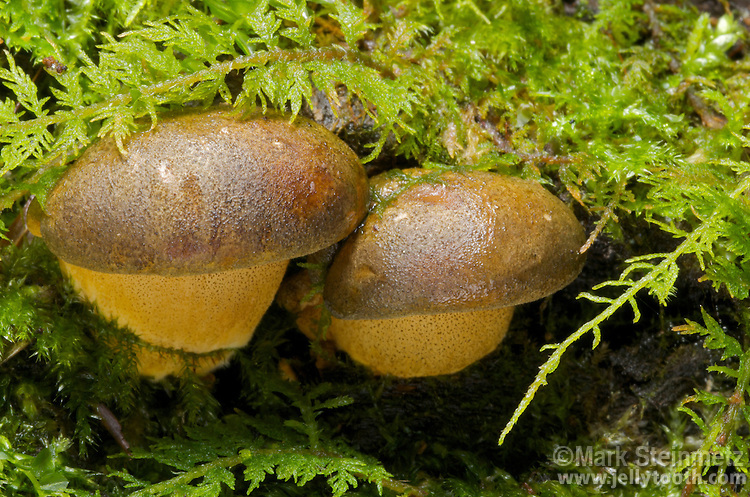 Late-Falll Oyster (Panellus serotinus). Very young individuals. Growing on hemlock. Edible, but not choice as with other "oyster" mushrooms. Hocking State Forest, Ohio, USA.